Our Adult Strength Circuit Classes are a great way to increase your strength and cardiovascular health. Workouts change per class and use a variety of different training equipment including: traditional weights, kettlebells, bodyweight, TRX and unconventional exercises using tires, ropes and sleds. Monday classes have a longer mobility warm up to help you prime the body for the upcoming workout, increase your flexibility and movement quality. Tuesday mornings is our Adult Circuit Lite class, which is best for beginner trainees, those who need exercise accommodations or who need to take things at a slower pace. 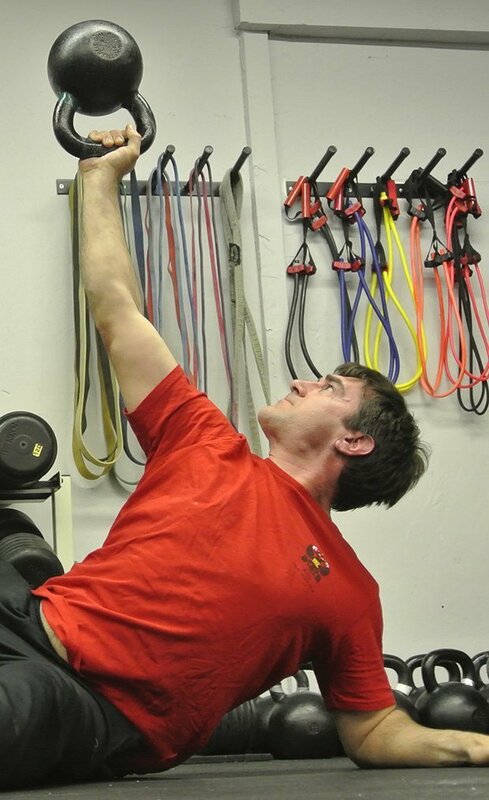 Wednesday evenings at 6pm focus more on foundational kettlebell training. These small classes ensure that you receive the highest level of instruction and the appropriate progressions that are right for you.